Sofia Boutella to Receive "CinemaCon Female Star of Tomorrow Award"
Washington D.C. (March 17, 2017) – Sofia Boutella will receive the “CinemaCon Female Star of Tomorrow Award,” it was announced today by CinemaCon Managing Director Mitch Neuhauser. CinemaCon, the official convention of The National Association of Theatre Owners (NATO), will be held March 27-30, 2017 at Caesars Palace in Las Vegas. Boutella will be presented with this special honor at the “CinemaCon Big Screen Achievement Awards” ceremony taking place on the evening of Thursday, March 30, at The Colosseum at Caesars Palace, hosted by the Coca-Cola Company, the official presenting sponsor of CinemaCon. 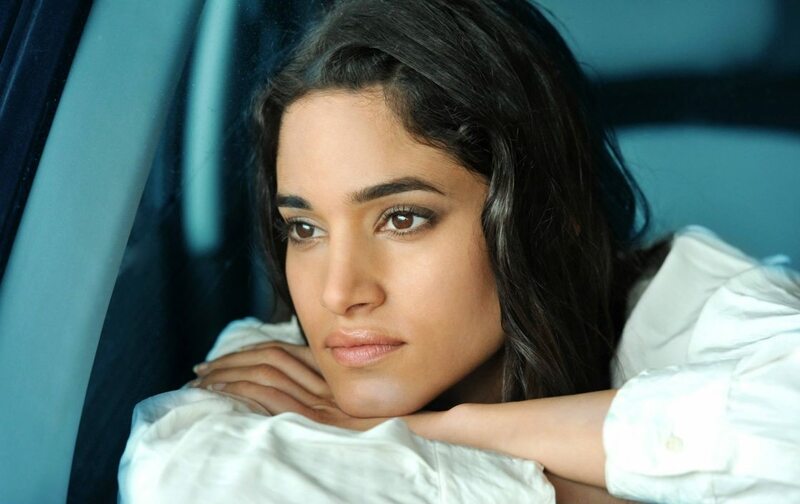 Boutella is a multifaceted talent whose career exemplifies her artistic versatility, magnetic strength and charisma, and on June 9, 2017, she will star alongside Tom Cruise in Universal Pictures’ “The Mummy,” the all-new cinematic version of the legend that has fascinated cultures all over the world since the dawn of civilization. Thought safely in a tomb deep beneath the unforgiving desert, an ancient princess (Boutella) whose destiny was unjustly taken from her is awakened in our current day, bringing with her malevolence grown over millennia and terrors that defy human comprehension. From the sweeping sands of the Middle East through hidden labyrinths under modern-day London, “The Mummy” brings a surprising intensity and balance of wonder and thrills in an imaginative new take that ushers in a new world of gods and monsters. Cruise and Boutella are joined by a cast including Annabelle Wallis, Jake Johnson, Courtney B. Vance and Oscar® winner Russell Crowe. “The Mummy” is directed by Alex Kurtzman. Boutella can also be seen later this summer starring opposite Oscar winner Charlize Theron in “Atomic Blonde”, a breakneck action-thriller that follows MI6’s most lethal assassin through a ticking time bomb of a city simmering with revolution and double-crossing hives of traitors. The crown jewel of Her Majesty’s Secret Intelligence Service, Agent Lorraine Broughton (Theron) is equal parts spy craft, sensuality and savagery, willing to deploy any of her skills to stay alive on her impossible mission. Sent alone into Berlin to deliver a priceless dossier out of the destabilized city, she partners with embedded station chief David Percival (James McAvoy) to navigate her way through the deadliest game of spies. A blistering blend of sleek action, gritty sexuality and dazzling style, “Atomic Blonde” is directed by David Leitch (“John Wick, upcoming Deadpool 2”). Also starring opposite John Goodman, Til Schweiger, Eddie Marsan and Toby Jones, Boutella portrays French intelligence agent Delphine Lasalle, who seeks refuge and excitement in Berlin. Born in Algeria and raised primarily in France, Boutella rose to fame as an internationally acclaimed dancer starring in a series of iconic Nike ads that were choreographed by Jamie King and showcased Boutella’s street-dancing skills. In 2006, she won The World Championship Hip Hop Battle with her group, The Vagabond Crew. From there, she danced on tour with Madonna and was in Michael Jackson’s video for “Hollywood Tonight.” Her film credits include: Justin Lin’s “Star Trek Beyond,” the third installment in the new “Star Trek” franchise, co-starring Zoe Saldana, Chris Pine and Zachary Quinto, and Matthew Vaughn’s spy film “Kingsman: The Secret Service.” Co-starring opposite Colin Firth, Samuel L. Jackson and Michael Caine, Boutella portrayed the villain Gazelle.